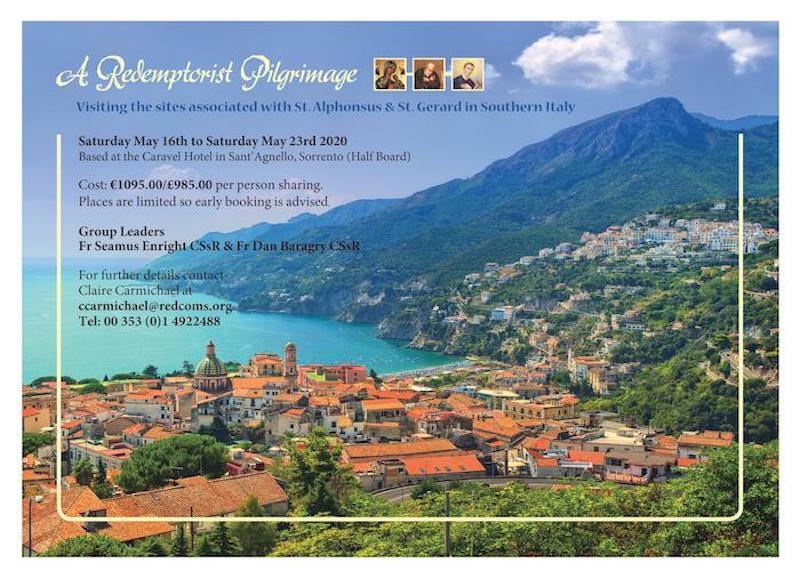 A Redemptorist Pilgrimage to Italy in 2020, visiting the sites associated with St. Alphonsus and St. Gerard Majella. Dates: Saturday May 16th to Saturday May 23rd, 2020. Cost: €1095 or £985 per person sharing. Group Leaders: Seamus Enright C.Ss.R., Fr. Dan Baragry C.Ss.R.